Ayam Betutu is one of original balinese foods. It’s not for everyone tough. The taste of the herbs are really really strong. If you don’t like tasty food, you won’t like this. But if you do.. you’ll loveeee this ayam betutu. Mostly it consists of turmeric, ginger, nutmeg, onion, garlic, cassava and chilies. The taste is quite different between places. You can find its receipt here. First and the best is Warung Makan Bu Kadek Wati.. phone: 0361.7441495.. google maps -8.635758,115.216455. The chicken is so soft, the taste is nice and strong and it’s really really cheap.. only 8K! photo above was taken at this warung.. the place quite small.. it’s like 4 x 12m.. with 2 long tables on the side facing the wall.. 1 big long table in the middle.. normally very busy during lunch time.. and the food normally finish around 1 – 2 PM..
Second, Warung Bu Adnyana.. google maps -8.64889,115.219738.. the chicken is also soft.. the taste is quite different.. softer than the first one.. but still so nice.. it’s 35K otherwise.. the place is like 5 x 16.. not too busy.. they normally close around 5 PM..
Third, Ayam Betutu Men Tempeh Gilimanuk.. it’s in old Gilimanuk Terminal.. I haven’t eat this food for quite a while.. it’s really far from Denpasar.. it’s like 3 hours drive.. but if you drive from Denpasar to Java or vice versa.. you should go to this warung.. Chicken is so soft and nice.. it’s specially super HOT.. hot but you can’t stop haha.. last time the price around 70K for 1 whole chicken.. not sure now.. Forth, Stand Waybe at Beachwalk Eat n Eat area.. if you are not a typical food hunter.. you can go to beachwalk mall in Kuta Beach.. top floor where the food court is.. you’ll find stand waybe.. they sell balinese food.. the taste is ok.. price quite high.. but at least you know..
Slippery Stone serve western, indonesian and balinese food. I tried the steam barramundi (110K rupiah), ikan bakar (110K), super chrispy chicken wing (50K) and soft shell crab burger (70K). They were all OK for me.. not too special.. but not bad either.. they were just too too small for me.. I had to eat at least 2 main foods.. and you have to add 10+10% for the tax and services.. I felt the price was a bit too expensive for the foods..
For drinks however, the prices were ok.. small beer bintang for 25K.. draught for 28K..
Come back? I will ! 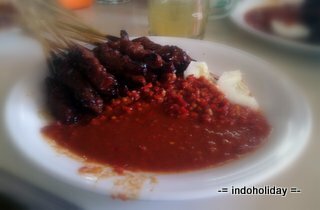 This is one of the most unique food in Bali.. Sweet pork sate with chili / sambal sauce.. can you imagine that? Before I went to this place.. I never imagine mixing sweet pork sate with sambal sauce.. If you’re afraid of sambal, it might look scary. Well it is scary. But it’s sooooo so damn nice. 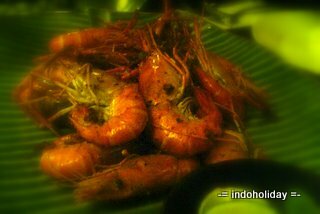 This is one of the must food you eat in Bali. The pork is so soft.. the taste really nice.. not to sweet.. although they’re sweetened.. the smoke taste also there.. The sambal sauce is the best of all.. it’s in the middle of medium to super hot (for me).. I can taste the shrimp taste but not too strong.. just perfect.. If you don’t like sambal.. you can try the sweet sauce.. but for me.. it’s just standard.. they also have beef and beef ball soup.. pretty standard also.. The place is a warung.. low class restaurant.. no aircon.. seat on the bench instead of chair.. long table.. packed of people.. super hot especially when the satay smoke come inside.. limited tissue.. no smile.. the worst.. you can’t ask for additional sambal, soup or anything.. but.. the food is just too nice.. which keep me coming back.. haha.. Some tips if you want to come here.. if you come during holiday season.. don’t come during lunch time.. they open 10 – 5.. some times they close earlier when the satay finish.. some times later than 5 if they still have the satay.. bring your own tissue.. when you eat chili in a hot place.. you easily get super wet inside and outside.. if you are not used to spicy food or bbq ashes.. you might want to take at least 3 yakults..
Price is OK.. last time I ate 35 satays, 2 orange ices, 2 beef ball soups.. 2.5 rices.. I spent less than 100K.. I arrived around 9.30 PM.. I was explained that they were not opened yet.. today is for test food only.. everyone will get one food and one drink for free.. everyone means everyone.. including me who was no-one to them.. I only have to pay the second food.. sound good!.. The place is very typical teuku umar restaurant.. you only come to eat and go.. they have air conditioner and non area.. it’s good.. clean..
All sushis were fnisihed! I ordered beef yakiniku, udon soup.. tasted ok.. to much black pepper for the beef yakiniku.. but ok for me.. the soup for udon was nice.. I could feel the seaweed taste.. normal tea was served instead of typical japanese ocha tea.. why?.. They’re really panic for the first day (that’s why they give the food for free :).. hopefully the next day they will be better.. It’s only 20K for each food.. and 50K for 3 foods.. really cheap! really value for money.. recommended! Beachwalk Kuta is the latest mall in Bali. It’s huge. Some areas are still under development. But mostly they are running and selling. 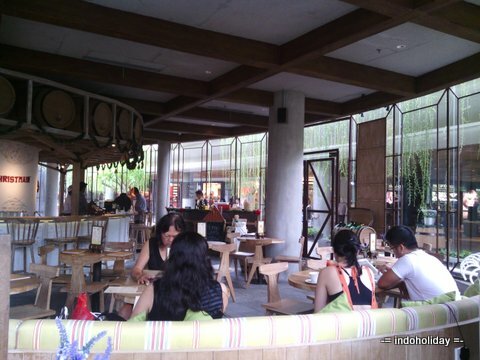 One of the nicest restaurant is The Nanny’s Pavillon. It’s located in the front area, near the beach, separated from the big building.. It’s a bit confusing which is the front part of this mall. Too hugeee.. They have outdoor and indoor area. When it’s not too hot, it’s really nice to seat outdoor. Otherwise full conditioner indoor area provides 3 big sofas, some tables and bar tables. Nice place to spend some times eating and chit chat before movies. 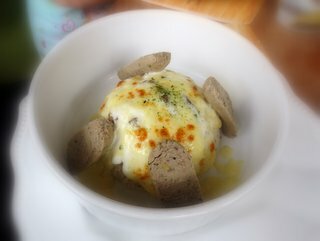 Their favorite foods are their baked rice menu.. it’s a rice with some herbs and melted cheese on the top.. it’s really nice.. Not to forget their spaghetti tuna.. it’s so damn nice also.. it’s so tasty.. Their blueberry pancake and chocolate waffle are also greatttt.. drinks were ok.. I can’t remember what I took.. but it was standard.. i might have chosen the wrong one.. The price is good.. most of the food below 50K.. the portion is nice for ladies.. a bit smaller for man.. but again the price is right.. you can order another one.. A lot of time I went.. They are really full during lunch and dinner time.. specially in the weekend..
Musashi is one of the pioneer japanese food in Nusa Dua area. It’s located in Jalan Nusa Dua Selatan. It’s on the way to Pantai Geger where the new huge Mulia Resort is. Google Maps: -8.811563,115.224692. What I like most is its location. 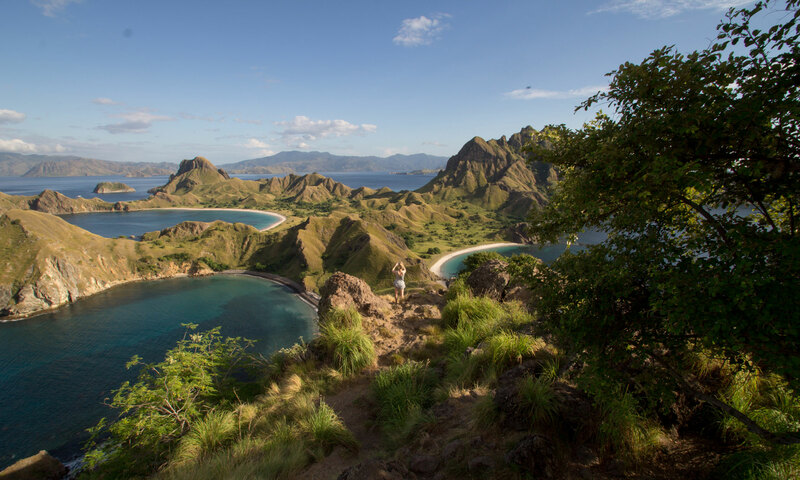 It’s in a really quite area, far from any crowds. Mulia Resort is just opened, they might make this area busier. But for now, it’s still really quite. I’ve come like five times to Musashi, and all the time, there weren’t many guests. It was about 2 – 4 tables. 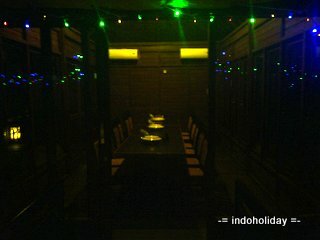 The restaurant have about 2 unwalled rooms with 2 tables, about 3 or 4 tables in the main area.. They also have outside area.. I had salmon and tamago sashimi, karaage, one of the best seller sushi with salmon, unagi and tobiko black and two island shiraz.. i forgot the name of the sushi.. I asked for the best seller one.. waiter gave me that.. the sashimi was really nice.. it’s fresh.. I don’t like the wasabi however.. it’s not HOT.. I like their karaage best.. compare to others jap resto.. I would say Musashi has the best karaage.. The sushi.. whatever the name.. was OK only.. I can’t taste the unagi.. the mayonise taste was too strong..
Total I paid like 900K+.. the wine itself around 300K+.. Price was a bit too expensive I guess.. they put on 15% of service if I’m not wrong.. this doesn’t feel right.. 5% should be OK.. but not 15%? ..
Another West Java or Sunda type of restaurant has opened in Bali. It’s located in Sunset Road between the intersection of Kunti St and Nakula St. Google Maps: -8.691548,115.173062. The place is big, you have no worry about parking space. The main different of Dapur Sunda and others is their private dinner area. They have many small dining rooms, fully air conditioner which can accommodate around 10 people or maybe more. When you have a discussion or privacy dinner, these rooms are really convenient. They also have normal restaurant table area in the front. I tried the Gurami Cobek, Kangkung Cobek, Sambal Terasi and Sambal Matah. Gurami Cobek is OK.. They cut the fish in small pieces.. The fish itself was really nice.. it was really fresh.. not odd fresh water taste.. The sauce, on the other hand, was not really nice.. FOR ME tough.. 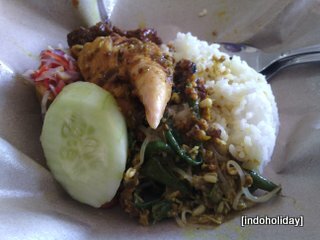 But I like the Sambal Terasi and Sambal Matah.. It’s damn hot but nice.. It got even nicer when I mixed these two different sambals.. Next time I will order just normal Gurami Goreng.. i think they call it flying gurami.. something with fly.. and order these two sambals..
Price is quite high compare to their competitors nearby.. Bale Udang Mak Engking and Ikan Bakar Tempoe Doeloe are very similar to Dapur Sunda.. Their size of restaurants, their foods and their origins are very very similar.. However Bale Udang and Tempoe Doeloe sell their fish a lot cheaper.. Dapur Sunda sell their fish around 70K.. Bale Udang and Tempoe Doeloe around 50K.. The same apply to their vegetables also..
Offer all.. The only thing I’ll miss to Dapur Sunda is their sambals. And I might also go if I need privacy group dinner.. Other than that, I’ll go to Tempoe Doeloe.. Tempoe Doeloe has better taste of the fish, the vegetables and cheaper of course! I’ve just enjoyed a really good afternoon today.. It was only 50K.. I’ve got free flow beers from 1 hour and all you can eat nice food for 3 hours! I’ve noticed while ago from Sky Garden tweets (@61legian), they have free flow beer and all you can eat food every afternoon. But dunno it could be this nice. The new garden at the top really give nice atmosphere in the afternoon. 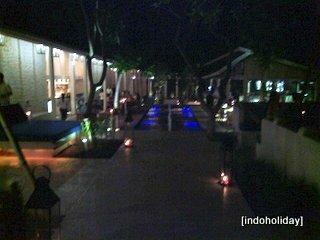 It’s comparable or even better to many nice expensive restaurants in Seminyak area. The free flow beers start at 5 – 6 PM. Quite short one, but again it’s only 50K with the food! The waiters go around and around pouring the beer to your glass. I was seated at the back corner. Don’t ever seat there if you are a beer lover. The waiter only bring one jug, and it always finish before they reach my table. I will seat near the bar next time! The food is nice. Considering the price, it really really damn nice. haha. Today, there are onions (cooked in 3 different ways), bread, roast chicken, sausages, hamburgers, chicken and beef bbq kebab, pork ribs, pasta, etc etc.. it’s a real food.. you can keep on eating them until 8 PM.. I’m still so damn full now! I might skip breakfast tomorrow.. This is a real bargain deal. Nice place, nice atmosphere, nice food, nice drink.. also.. last but not least of course.. nice chicks! I am a big fan of crab food.. In Bali the choices are not many.. there’s only 2 restaurants (that i know of) specialize in crab.. others are more to chinese food restaurants.. damn I really miss those chili crab in east coast seafood center singapore!.. The second nicest is in Pasar Kuta.. Google Maps: -8.722515,115.176437. 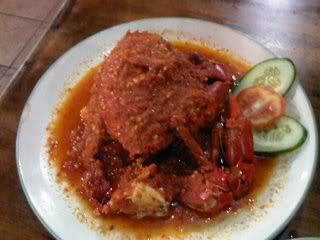 They call Kepiting Sukro.. They have more variety taste.. but they rarely have those big crabs and egg.. They have 3 different type of crabs.. 55K per portion for dead crab but still taste OK.. smaller crab (300gr and below) for 120K per kg.. bigger crab (350gr and above) 180K per kg.. The best is saos pedas sukro.. beware this is HOT..